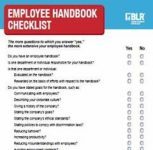 In hindsight, we can appreciate the success of the National Labor Relations Board (NLRB) and Richard Griffin, its controversial General Counsel (GC) during the Obama administration. Through a series of targeted decisions and GC memoranda, the NLRB sought to aid union organizing and expand the requirements and limitations of the National Labor Relations Act (NLRA), the law that regulates labor-management issues, to cover nonunion workplaces. For example, the NLRBs decision in Browning-Ferris Industries (the “joint-employment” case) altered the working relationships—and expectations—of millions of employees and employers and exposed them to unforeseen opportunities, obligations, and liabilities. By requiring employers to open their e-mail systems to organizing activity in Purple Communications, Inc., the Board forced employers to become unwilling enablers of the very unions they oppose. In Specialty Healthcare, the Board assisted unionizing efforts by permitting “microunits,” or small groups of employees, to establish unions within a nonunion workforce. Moreover, by issuing its “quickie election” rule in late 2014, the NLRB hoped to inspire a renaissance of successful union organizing. 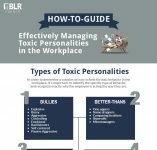 Finally, by expanding, in a number of decisions, the interpretation of “concerted activity” to cover just about any comment about the workplace made anywhere or anytime to anyone or no one, the Board became the arbiter of workplace conduct everywhere and the editor-in-chief of all employee handbooks. In other words, the NLRB under Barack Obama did what it always hopes to do—find ways of putting the president’s policies into action. And it was anticipated that the Board would continue that pattern under Donald Trump. During 2017, that is exactly what happened. In Hy-Brand Industrial Contractors, Ltd., it reversed the . In The Boeing Co., it returned to the established law on facially neutral rules of conduct. It voted 3-2 to reverse its decisions on employers’ obligation to bargain over changes to past practices in E.I. du Pont de Nemours and on the propriety of microunits in Specialty Healthcare. Those rulings were the culmination of Miscimarra’s impressive leadership. And then he resigned. In the same emphatic way, new GC Peter Robb issued a sweeping memorandum on December 1, 2017, that promised to slow the controversial policy initiatives undertaken by his predecessor and identified a number of critical areas for reexamination, including the quickie election rule, union access to employers’ e-mail systems, and graduate students’ right to organize. GC Robb also rescinded a number of memoranda, making it clear that the Trump NLRB intended to undo the decidedly prounion agenda that had been in place. Perhaps most significant, the efforts of the previous Board to expand the decisions and authority of the NLRA into nonunionized workplaces were going to stop. But that isn’t what stopped; the NLRB did. Maybe it was new leadership, or maybe it was better organized opposition—from staffers to senators—but as 2018 dawned, something changed. The Board appeared to lose its momentum, and it certainly lost its ability to shape its own agenda. Perhaps everything started to shift with the “ethics” bomb hurled at Board member William Emanuel after Browning-Ferris standard challenged Emanuel’s “right” to vote in Hy-Brand because his 1,000-lawyer firm represented one of the parties in the case, Leadpoint Business Services. Although Emanuel insisted that he had nothing to do with his firm’s representation of Leadpoint, an unprecedented inspector general (IG) report found that he should have recused himself. In the face of the IG report, a truncated NLRB rescinded the Hy-Brand decision, and the Board has been in turmoil ever since. The recusal issue not only haunts Hy-Brand, but it also is the chief barrier to Board approval of a settlement in the overdue McDonald’s case, which also involves the joint-employer issue. Similar ethics challenges are certain to arise. It remains to be seen whether any Board member can withstand a recusal demand if “issue recusal” rather than the more common “specific matter recusal” is the new standard. 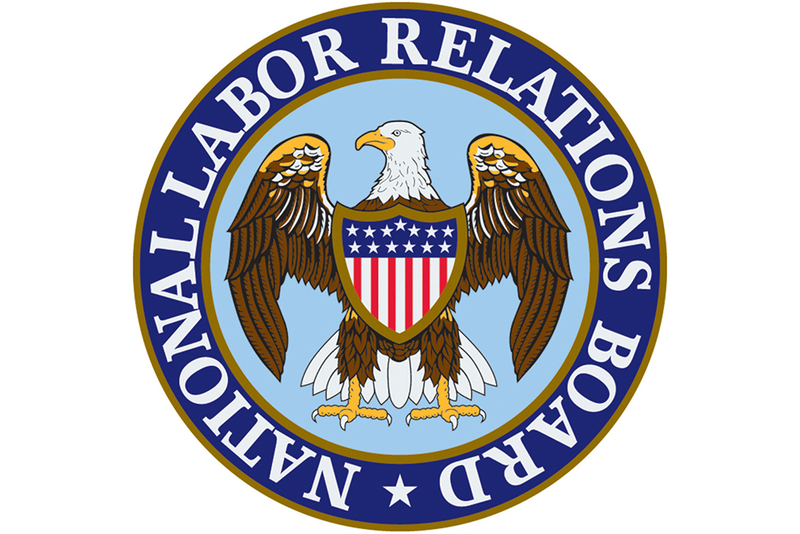 All NLRB members have had long careers in which they identified with either labor or management, and all are associated with prounion or promanagement positions. In the past, that hasn’t been a basis for recusal, a drastic remedy reserved for situations in which a member had direct involvement in a matter before the Board. “Weaponizing” recusal is a new facet of life as a Board member and may very well undermine the agency. In any event, the NLRB has been hobbled. Chairman John Ring promises an internal ethics review in the vain hope of establishing a process that satisfies everyone. In the meantime, the Republican majority is treading lightly. Recently, the Board approved a microunit on the grounds that the members were traditional craft workers—an exception that revivifies Specialty Hardware. Similar hair-splitting led the Board to approve a union of postdoctoral researchers at Columbia University, muddying what was thought to be an opportunity to reset the rules for unionizing in higher education. There is now concern that the Board will find a way to “split the baby” on employees’ use of e-mail, a decision that is expected in the new year. Finding a middle road appears to be the course for addressing the joint-employer issue. Chairman Ring announced that he is seeking a regulation rather than a Board ruling to settle the matter, a process fraught with delays and hurdles, including the NLRB’s inexperience in drafting regulations that can survive judicial scrutiny. But cracks are already beginning to show even in the Republican facade. GC Robb recently voiced his dissent to the current draft, asserting that it leaves too many ambiguities, echoing concerns previously expressed by the business community. Ring has responded mainly by repeatedly extending the comment period. And the fate of a new rule on quickie elections has moved to some unknown future. Past Boards have been faced with difficult decisions in politically divided times. Few Boards have been so irresolute. It is tempting to attribute the current stasis to the turmoil of the Trump administration in general, but the hallmark of the NLRB is its independence and its ability to pick its cases and make its decisions. Those characteristics are not now apparent. But perhaps in this, too, we are in new political territory. Burton J. Fishman is an Attorney with Fortney & Scott, LLC. He also contributes to the Federal Employment Law Insider and can be reached at bfishman@fortneyscott.com.